The Casa da Madeira in the Azores – CMA informs in a statement that with the support of the Club Sport Marítimo and Tecnovia Açores, on January 18th and 19th, it provided a weekend different from Madeira that were on the island of São Miguel. 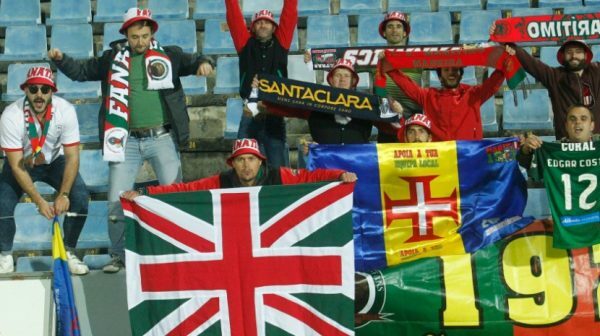 “There were close to two hundred Madeirans who traveled to the stadium of São Miguel, among residents in the Azores, others coming from Madeira and still from mainland Portugal, to make football a great party and to support the Club Sport Marítimo” is reported in a press release. Note also “to Artur Cabral, who is one of the oldest members of the CMA, and the Club Sport Marítimo, a special member of the CMA’s the delivery of a jersey autographed by the athletes of the Madeiran team “.